Hewlett Packard Enterprise (HPE) is a giant of the IT industry providing global businesses with the solutions they need to make IT more efficient, more productive and more secure. HPE needed to find a way to prove the value of social media to their partner companies and help them develop more effective social media strategies. 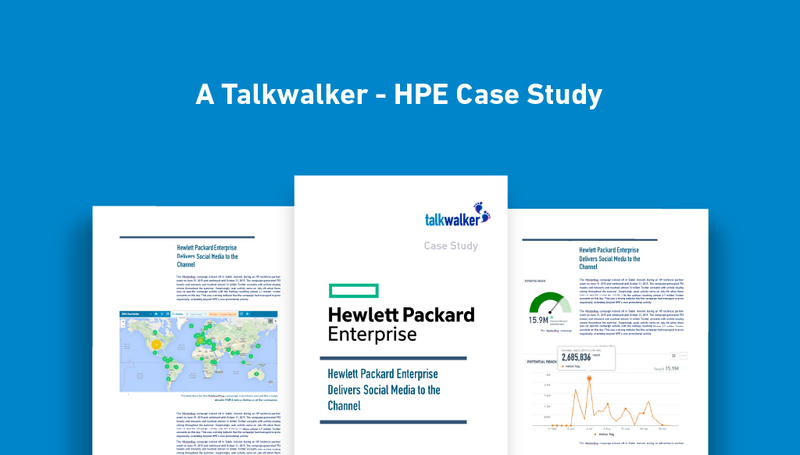 Using Talkwalker, HPE were able to show partners the true value of social media by encouraging them to take part in an international social media campaign that reached over 38 different countries and gave partners the confidence and know-how they needed to take their social media activities to the next level. Copyright © 2016, Talkwalker Sàrl, All rights reserved.